Aleutie Studio: Sassy Kids Calendar is Out! Sassy Kids Calendar is Out! Well, I finally finished and listed at my Etsy shop my first Illustrated Calendar with twelve drawings of very sassy, very stylish kids. I drew the illustrations in ink first, then scanned them and transformed into vector files, and after that colored and finely tuned them in Adobe Photoshop. 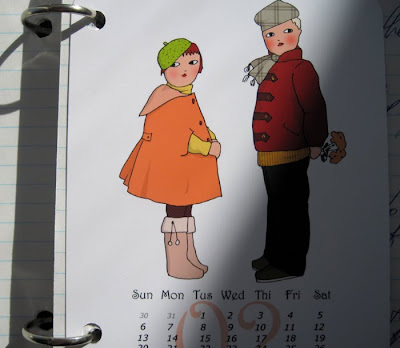 I printed this calendar on a special very heavy mat Epson paper that is perfect for ink jet printers. A color reproduction is great, all the colors are bright and gorgeous (something that I missed last year with the old cardstock that made the printout sort of ashy). I am particularly proud of my little "invention" - all pages are perforated to go into a standard ring binder. You can put the calendar into your school binder or into ring-bonded agenda and keep it handy all the time. 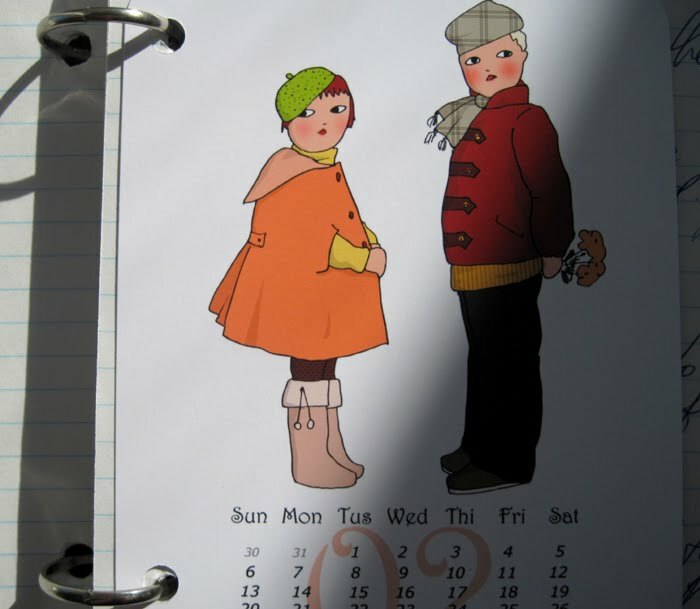 The pages can be used as monthly dividers. The paper is not coated - so you can write on the pages and mark all your special dates. I want to order one immediately.